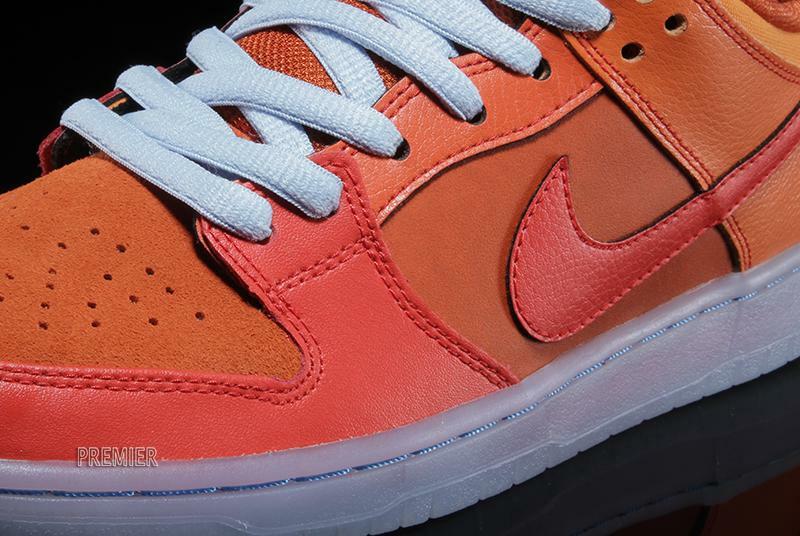 One of the boldest looks in a while for the Nike SB Dunk arrives with this 'Gamma Orange' colorway. Orange Juice? 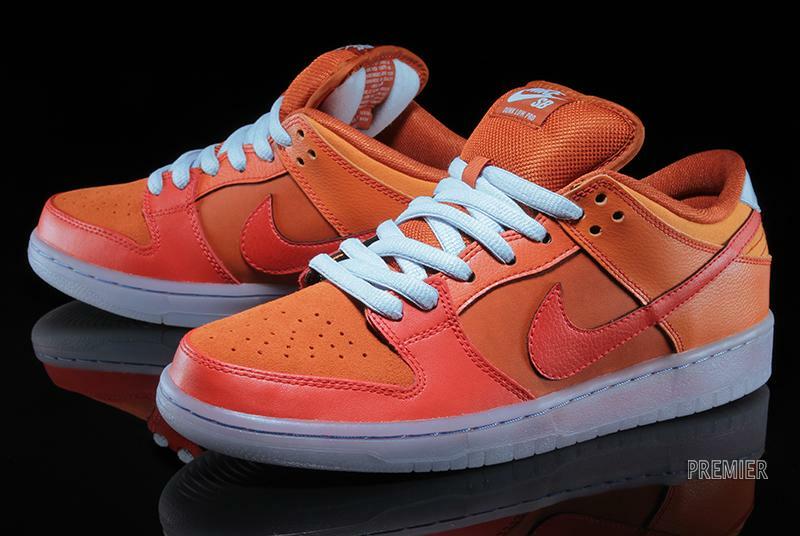 Fire and Ice? 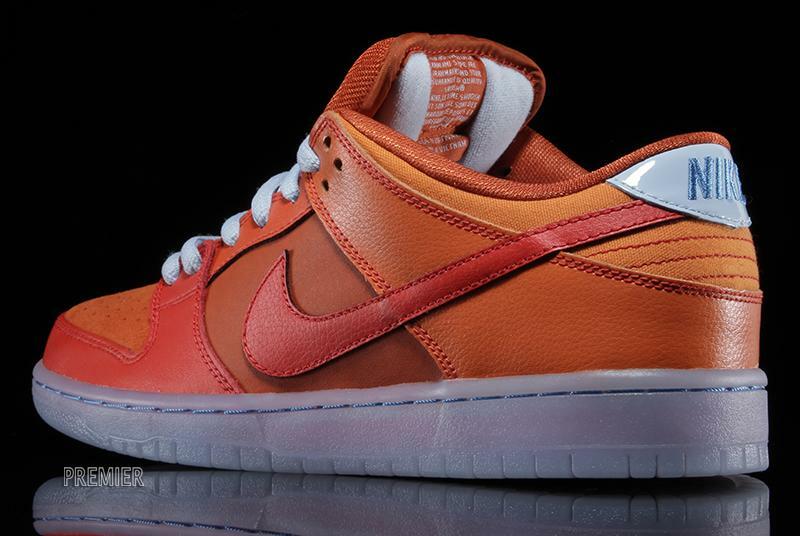 We're not sure of the inspiration behind this colorway of the Nike SB Dunk Low Pro, but it's definitely one of the boldest looks for the sneaker we've seen in recent history. 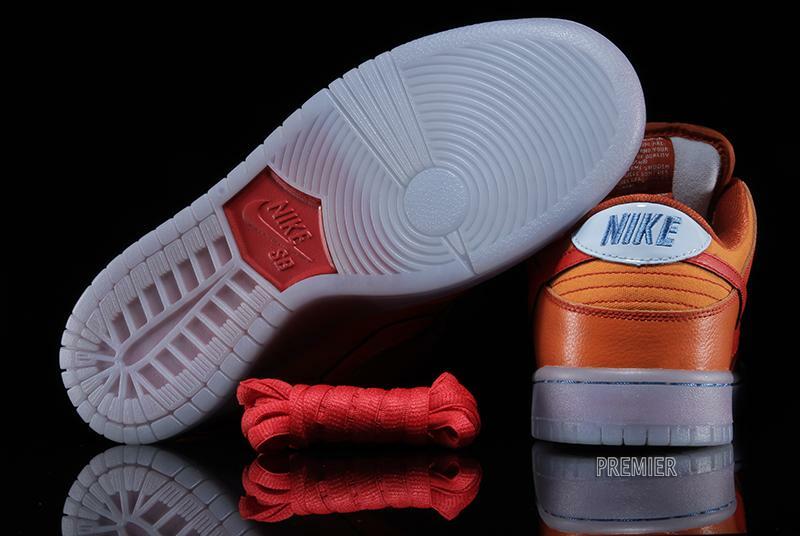 This all-new colorway features a blend of Gamma Orange, Urban Orange and Challenge Red on the suede, leather and canvas upper. Adding some interesting contrast are ice blue laces and patent leather heel tab, while an icy clear sole sits below. 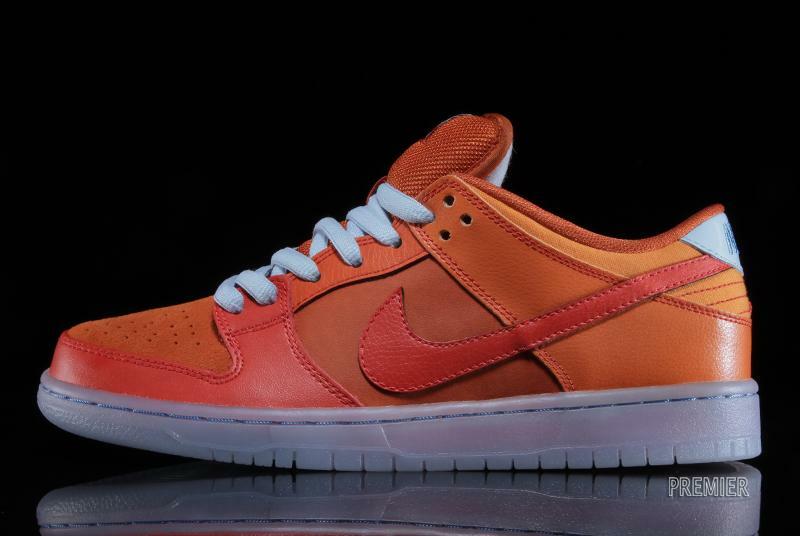 The "Gamma Orange" Nike SB Dunk Low Pro is arriving now at Nike SB stockists, including Premier.